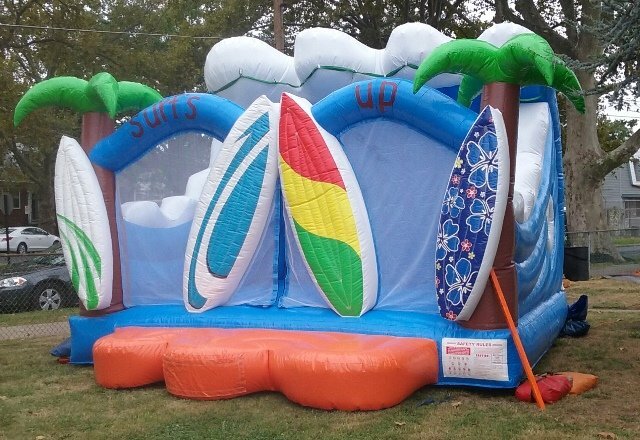 Setup Area: 18' L x 15' W x 12'4"
This Surf's Up bouncer is perfect for those hot summer days! It comes with a misting system to add a new level of fun and this large wave on top adds shade! This bounce can be used either wet or dry!